Picking NIT teams is always incredibly challenging. Not because of the matchups or the performances of the teams, but because of the mental state of the teams. Are they excited for this? Indiana is a great example. They finished 17-15, had a strong resume (6 Quad 1 wins) but too many losses. After playing quality Big Ten opponents for the past 3 months, how excited and motivated are they going to be to face St. Francis (PA)? And after that against either Providence or Arkansas? NC State is an interesting team. Their Athletic Director issued a press release stating their disappointment in being passed over for the NCAA Tournament. But they finished with the 352nd toughest OOC schedule (out of 352). That probably helped contribute to them being leftover. So how excited for they to play in this tournament, against Hofstra in round 1? Than you have schools like UNC-Greensboro. They were reportedly team #69 and were the last team out, courtesy of Oregon’s PAC-12 bid steal. But because they aren’t the brand that Indiana or NC State are, they might be more motivated to prove to the world just how good they were this season and that they belong. 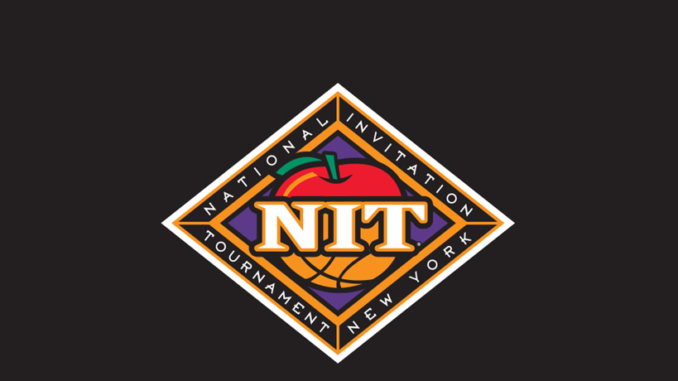 In the Indiana region – I am going with Wichita State over Furman. Shockers won 6 in a row, before losing in the AAC Semis. In the Alabama region – I am going with South Dakota State over Texas! 16-16 Longhorns never belonged in the bubble discussion, Jaxson Hayes is reportedly injured, Shaka Smart could be on his way out. Give me the team with less distractions and the 3,000 point scorer in Mike Daum. In the TCU region – I am going with chalk, but I could see San Diego beating an unmotivated Memphis team. It depends on how rested Jeremiah Martin is and how much Penny Hardaway can get his guys to play. UNCG – Campbell is no easy task in round 1. If they beat the nation’s leading scorer, Chris Clemons they would face the Davidson/Lipscomb winner. I like them to advance to the quarterfinals and beat Hofstra (who beats Harvard). Providence – Friars beat Arkansas in a tough game in round 1 and than upset Indiana, in a game the Hoosiers want no part of. Wichita State beats Clemson and loses to Providence in the quarterfinals. Xavier – Congrats, X will finally make the Final Four! (inside joke for Cincinnati people). They will beat Toledo, beat South Dakota State (following their win over Texas) and than knock off Alabama to advance to MSG. UNCG beats Providence and Creighton over Big East rival, Xavier, in a rematch of the Big East tournament. UNCG beating Creighton is a classic case of an under-the-radar team that wants to play and wants to prove themselves. You don’t often see that in the NIT. But Wes Miller, in his 8th season, can coach and Francis Alonso (17 ppg) and Isaiah Miller (14.7 ppg) can score.